Pedro Severino went 2-for-4 at the plate with a solo home run in Monday's 12-2 loss to the White Sox. Severino is heating up at the plate and has hit all three home runs of the season over the last five games. He is also hitting .357 with a .400 OBP over that time frame. 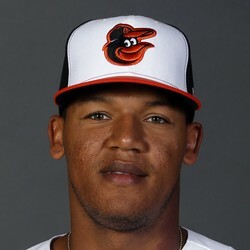 Severino plays behind fellow catcher Jesus Sucre but could start to steal playing time and could become fantasy worthy in deeper leagues.